I canceled all energysaver options. After a while with no activities I get a black screen. –> Antergos is gone. I have to restart with a reset. 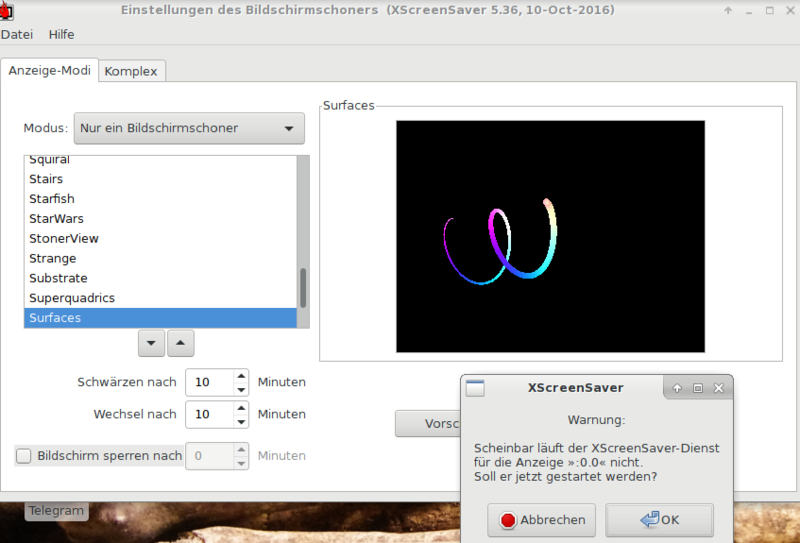 I can avoid this if I activate the screensaver BUT if I open the preferences of the screensaver I get an error message (please see the picture). If I ignore this message I will get the black/white screen again anyway what kind of screensaver. If I click ‘OK’ then the screensaver will work fine. So I think there is a bug. Yes, I cleanded it before I reinstalled the Windows-Bootloader in the MBR. Sorry I changed to Makulu-linux on my Notebook now (rolling relaease as well) and there is no problem to install Grub on another partition. Perhaps in the future Antergos will give the possibility for Grub too. Ok Antergos now only on my desktop. @joekamprad I tried again to install Antergos without Grub. and installed Grub in MBR again! Ok then no Antergos for my Notebook. I’ m sorry but in the past I had never prone to breakage during install. Windows 10 is sitting there with EasyBCD as my bootmanager. I don’t like Grub there because the handling is much to intricately. 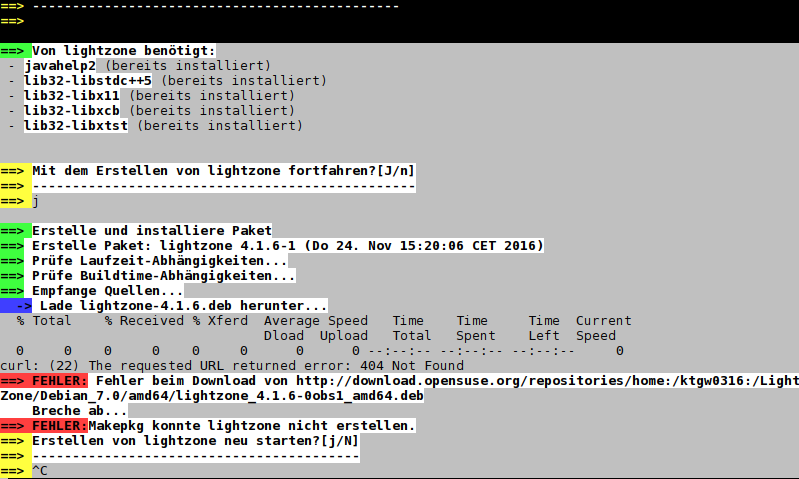 It is a pity, now I have to look for another rolling-release Linux-distribution which allows me to install Grub wherever I want . Perhaps in the future the developer of Antergos will give the installer more possibilities for Grub. It can’t be so different because my sons computer runs with Makulu-Linux and here we had these possibilities. ( Sorry). I just tried to install Antergos on my Notebook. In the MBR of my disk. Now during partitioning Antergos doesn’t give the possibility to select where I want to install Grub. Works fine -thank you very much!